Join George Beard and Harold Hutchins for a wedgie-powered wonder! 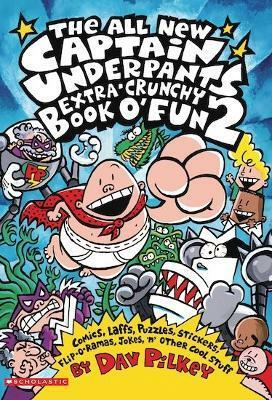 The All New Captain Underpants Extra-Crunchy Book O' Fun 2! Dav Pilkey is the talented author of this hugely popular series. He created the first Captain Underpants stories as comic books when he was still at elementary school!